Important dates coming up? Difficult to remember? Round them over these personalized 4x7 custom magnetic calendars 20 Mil round corners available at the refrigerator door or filing cabinet. 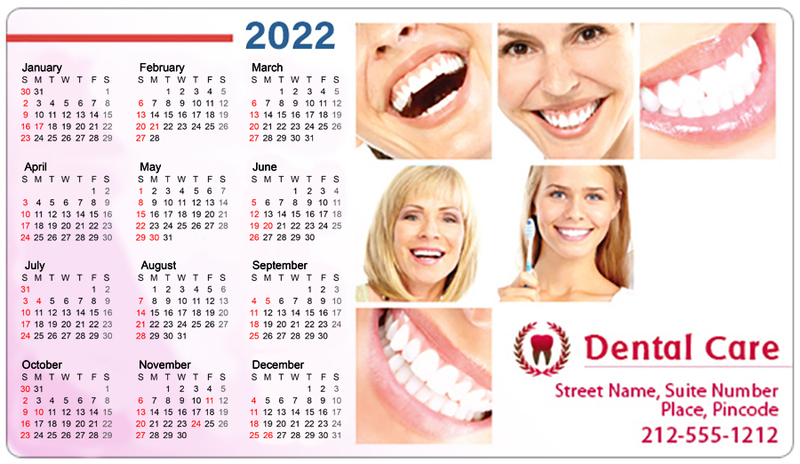 Excellent and affordable, these promotional dental and orthodontist magnets offer large imprint area for your brand contact information and logo. Just as everyone has a fridge or a filing cabinet ready, so these personalized magnets will become an addition to them. We will say these magnetic calendars are handy way to make your business accessible to vast group of customers. Order today to get started with these personalized magnets 7x4. Request a quote to know what you can save on ordering these 4x7 personalized magnetic calendars 20 Mil round corners.